In this tutorial, We are going to learn map built-in type with examples in the Go Language. A map is a popular collection data structure, contains key and value pairs. It is used to represent hashtable and dictionaries in other programming languages. Java has HashTable, Python has Dictionary types. It provides fast loops, search, update, deletions based on the keys. 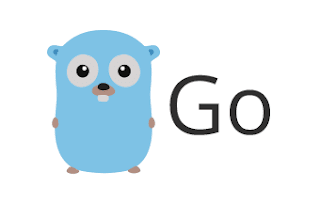 Important points of Maps in Go Programming language. Start a var keyword used to declare a variable of map type. variablename is a name of the variable name of a map.It should be the valid identifier. a map is the keyword used followed by key type declared in square brackets and value type. This map is just declared not initialized and this is called zero value map. zero value map value is nil. It has no key and values. Following is a Map variable declaration with string keys and int values. variable k is of map type with assigning string values to integer. You can create a map using in-builtin make() function. make function allocates hashmap data structure, returns a map that references to it. This make function accepts the type of the map and capacity. This creates a map and initized with empty elements. the above code creates a named map - mymap which accepts key of strings and values of int type. This is called Empty Map. nil map works same as an empty map when reading elements. When attempting to add elements to Nil Map throws panic runtime. Empty Map works as expected when adding elements The above line code can be rewritten using short hand variable declaration using shorthand assignment operator (:=). Once the map is created, you can add elements to the map using the following syntax. This syntax is similar to arrays and slices in Golang. This retrieves value if the map contains key, if not it returns non zero value of map value types(0 for int,"" for strings,0.0 for float types). In the above program, key=1 already exists in a map, corresponding value=kiran is returned. key=2 does not exist in a map, we get zero value of map value type, here map value type is a string, the empty string "" is returned. how do we find whether a key exists or not in a map? we can differentiate between empty values and non-existing keys using two value assignment map retrieval syntax. the above example, retrieving key=1 that exists in a map and returned value=kiran and ok=true retrieving key=11 that key does not exist in a map, returned value type zero value ie value="" and ok=false. This function deletes the item with the given key. It does not return any value if the key does not exist in a map. Since the map is an unordered data structure, Order is not guaranteed. when you run the above program multiple output order might change. The below example code creates a slice for key and values of the map. The map is iterated using for loop with range form. For each iteration, key or value is added to the corresponding slices.